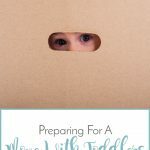 As exciting as it is for me to move into a new house, it is also something that gives me hives when it comes to the chaos and stress of actually packing up all of our worldly goods. I hate the packing part of moving, so I’ve tried to find a way to make it as easy and stress-free as possible. For me, that means keeping things streamlined and organized. 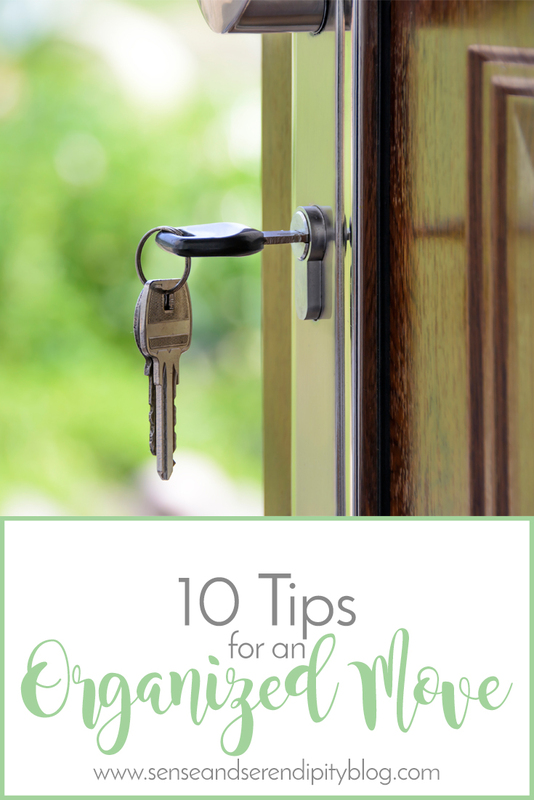 Here are my 10 best tips for an organized move. 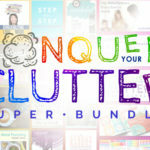 Get Rid of Clutter. If there is stuff you don’t want to take with you or that you haven’t used in a long time (and likely won’t), get rid of it well before you start packing. If there are large items you know you won’t be taking with you, put them up for sale or donate them as soon as you can to get them out of the way. If you have a closet full of craft supplies or home decor that you haven’t touched in a year, sell it or donate it now. Don’t create more work for yourself by packing a bunch of crap you know you’ll never use or you know you don’t have room for in the new place. Create a Moving Caddy. Get a cheap plastic bin from the dollar store or grab an old basket and start corralling the moving supplies you know you’ll need on a regular basis. Packing tape, labels, pens, markers, a notepad, ziplock baggies, etc., all can be organized into a compact, portable caddy that you can take with you as you move from room to room. The last thing you want to do is waste valuable time and energy trying to hunt down the roll of tape or the Sharpie that suddenly grew legs and walked away. Keep everything together and within reach to make the packing process as easy as possible. Create a Moving Binder. You may be rolling your eyes at me right now (I know I’m a giant nerd) but I’m telling you that having moving binder is going to save you a lot of brain cells. 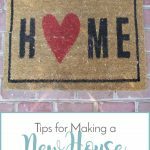 Moving from one house to another takes a lot of moving parts and it is easy to forget what is going on or what you need to be doing or where that receipt went or when you scheduled that appointment. If you have a place where you keep all of those notes and important documents, the circus of moving becomes a lot less of a headache. In my binder, I have pages for keeping track of utility companies, moving company quotes, important contacts, address change checklists, to-do lists, among a few other things. 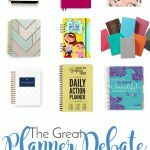 It has really helped me to organize my thoughts and keep track of what needs to happen and when, which is EVERYTHING when you’re running on little sleep and lots of coffee. Label Everything. A great way to keep your boxes organized during the chaos of a move is to sufficiently label each one. I have made some super efficient labels for each room of a house, each in a different color to make things even easier. I’ve also added a small space to record the contents of each box so that you can easily find what you’re looking for when you start unpacking. I designed these labels to be printed onto Avery 8163 Shipping Labels, which you can order through this link or you can find in most office supply stores. 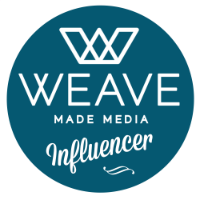 To download these labels, just sign up below for exclusive access to my Subscriber’s Only page! Number Your Boxes. You might think this tip is a little over the top, but hear me out. When you keep track of the number of boxes you’ve got going on the truck, you will be better able to make sure they all arrive where you expect them to arrive. Also, some moving companies will charge by the number of boxes you have (why is beyond me). Don’t risk being over charged by letting them estimate how many you’ve got. Keep a record of each box, it’s number, which room it belongs to, and a brief description of its contents track on a coordinating piece of paper that you keep in your moving binder, then check each one off as you find it in the unpacking process. Start Packing Early. I promise, take this tip to heart. You can start packing two months before the move by packing things like out-of-season decor and clothes, books you won’t need for a little while, extra linens and other household items you can live without for two months. Believe me, it’s going to take you a lot more time to pack than you think it will, especially if you have kids. Most of my packing will likely be done during nap time and at night because, let’s be real, trying to do anything while they are awake is like trying to vacuum during a dust storm. Go Room by Room. One of the easiest ways to tackle packing is to start with one room and stay put until it’s done. Granted, when you get to rooms that are still actively used, you may have to pack as much as possible and leave some things for closer to your move date. 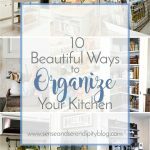 But try to stick to one room at a time to keep yourself organized and to keep the task at hand less daunting. Don’t Pack the Cleaning Supplies. Remember, you’ll have to clean the house you’re leaving before you actually turn over the keys to the new owners. That means you’ll need all your cleaning supplies available to you in the last days before you move and for the day of the move. Make a cleaning caddy, much like the moving caddy, to keep all of your essentials in and be sure not to let the movers take the vacuum or mop! Here’s an extra tip: clean everything you can the night before the move: clean the sinks and counters, wipe down mirrors and dust surfaces, wash toilets and bathtubs. Then, after the movers have cleared a room of boxes and furniture, run the vacuum over the carpet or sweep the dust off the floor. The movers may think you’re crazy for following them around with a vacuum, but at least you’ll be done with the cleaning as quickly as they’re done loading the truck! Hire a Babysitter. If you can swing it, hire a babysitter for the day of the move. 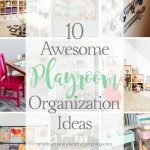 If you can have someone take the kids outside or to the park or just play with them in an already emptied room, it will be a huge relief to you. The last thing you need to worry about is corralling your kids while also trying to supervise and coordinate a move. Load Your Car the Night Before. There are some things that you should move yourself, like valuable jewelry or expensive equipment you just don’t want to risk putting in a moving van. Also, some moving companies won’t move certain things, such as houseplants. You will have some things that you will need to pack in your own vehicle for the move, so whatever those things are, pack them the night before the move. Get your car loaded up with as much as you can so that when the movers arrive, you can focus on coordinating them and cleaning the house. 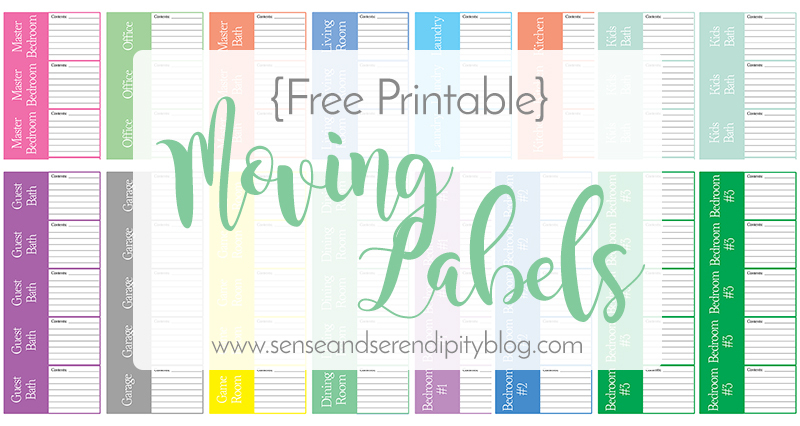 Use these tips to help make your move more organized and less of a headache and don’t forget to download my free moving labels! What are your best tips for organizing a move? I’ll have to try numbering boxes next time – love your thought process behind that. My husband and I just had our first big move back in February and I think we did pretty good! We labeled all of our boxes with what room they were for and with a couple key items in them. That helped a ton! A babysitter would be essential for me and my two small kids who love to bolt as soon as the front door opens! I’ll have to remember the binder tip too as I always end up misplacing things like gas and electricity documents during a move. Great Tips. Nothing more frustrated than having to pack up your life.